Fathers are to be provided with mental health support through the NHS for the first time, under new guidelines published by the NHS. Dads who have experienced stress or mental health issues as a result of the birthing process are to receive support through the NHS. 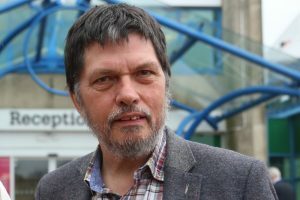 The change has been made with the support and campaigning of Bournemouth University academic Dr Andrew Mayers. As a result of the campaigning, which included a number of Parliamentary briefings, NHS England have announced that all new fathers and fathers-to-be will be offered mental health checks if their partner is suffering anxiety, psychosis or postnatal depression. Over the last few years, Dr Mayers and colleagues in mental health charities and organisations across the UK have worked to provide evidence of the support needed for fathers. The research looked at the extent to which fathers get help for their own mental health in the perinatal period (pregnancy through to the first two years of a child’s life). A second research project explored what support fathers got to learn how to care for their partner should she develop mental health problems, while a third study looked at fathers’ experience of witnessing their partners birth trauma. The research and evidence provided have led to change, with fathers now being offered mental health support. Dr Mayers continued, “Ultimately, fathers are needlessly dying. The biggest killer of men under the age of 50 is suicide. Fathers with symptoms of postnatal depression are around 47 times more likely to be a suicide risk than at any other time. It is also important that fathers get the resources to help their partners, so to reduce the risk of their mental illness escalating. “In just the same way as maternal mental illness can have a negative impact on infant attachment; poor mental health for fathers can also be detrimental to that attachment, and ultimately to the health of the child. If infant attachment is poor, that child is at a greater risk of experiencing whole range of developmental, emotional and behavioural problems. With earlier intervention we can stop this.